This is one gigantic book. Hardcover. 376 pages. Blizzard has finally released an official video game art book and it's not surprising it's so thick. The binding looks good enough. One thing to note is about the shipping cost of this book. It's heavy, so depending on where you're shipping to (overseas for example), it might incur an additional weight surcharge. The book features the three flagship games of Blizzard, namely World of Warcraft, Diablo and Starcraft, and it has a small section of art from discarded game concepts. The art is fantastic and all printed big on good paper. They are mainly character designs. 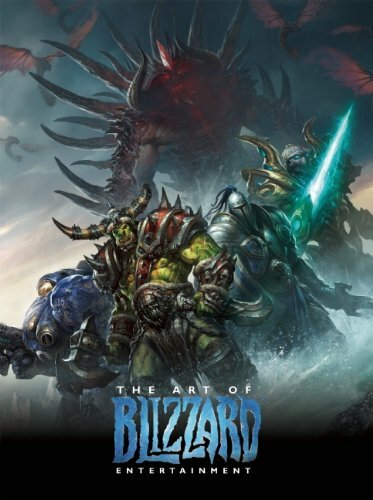 Many paintings and sketches come with brief commentary from the staff of Blizzard, Nick Carpenter, Samwise Didier and Chris Metzen. Of course there are a lot of artists featured and it's interesting to see how they can all stick to drawing the Blizzard style of art. There have been several Blizzard art books before this came along. So you might actually see artworks here from the earlier books, such as WOW: The Art of the Trading Card Game, The Cinematic Art of World of Warcraft: The Wrath of the Lich King, Diablo III: Book of Cain, WOW: Mists of Pandaria Collector's Edition art book and others. There are also many new pieces of art here. However, there are pieces of art which I though should be included, especially (all) the detailed sketches from the Diablo III: Book of Cain. This is a wonderful collection for fans of Blizzard and fantasy art. The limited edition features a black saifu-cloth slipcase with a signed and numbered specially bound edition of the book. Four giclee prints featuring artwork by Brom, Samwise Didier, and Wei Wang. It's limited to 1500 copies. Hello, just want to confirm : does this book got all the art from those previous artbooks you mentioned up there? 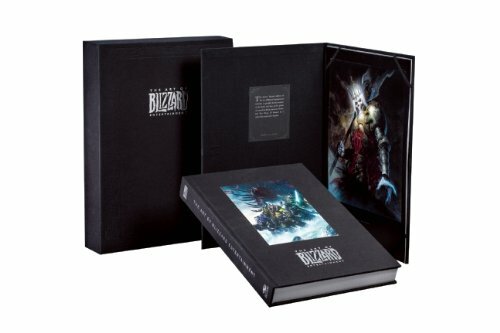 I'm planning on buying a couple of blizzard artbook, if this one covers it all then i just go and buy this one. It has some art from those books plus new ones.